It’s baby-doll Jule’s birthday and that calls for a celebration! Everything doll mommies and daddies need for a delightful children’s birthday party is here in this extensive birthday set. 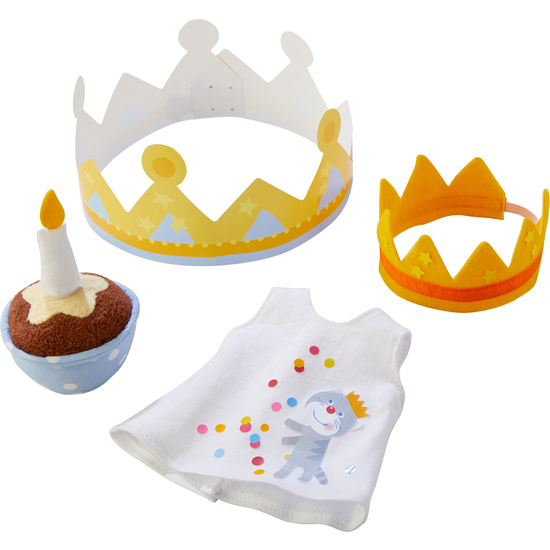 Contents: 1 muffin with loop & hook candle, 1 doll shirt, 1 birthday crown for baby-doll Jule, 1 crown for doll mommies and daddies.